GDRNT has abided by these principles for every animal in our care. 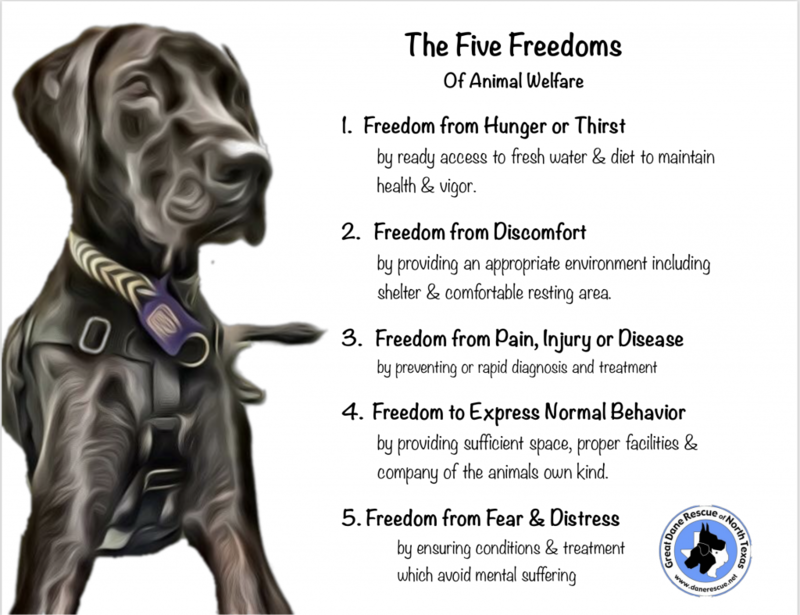 While we are strictly a foster home based group the Five Freedoms apply to the treatment of all animals. Awhile back animal organizations across the country, adopted the Five Freedoms as guiding principles in the humane treatment of animals, regardless of whether the animal is a pet, a working animal or one to be slaughtered for consumption. Including but not limited to the ASPCA, the American Society for the Prevention of Cruelty to Animals, HSUS, and numerous shelters, rescues and veterinarians. According to the Farm Animal Welfare Council, In 1965, the UK government commissioned an investigation, led by Professor Roger Brambell, into the welfare of intensively farmed animals, partly in response to concerns raised in Ruth Harrison’s 1964 book, Animal Machines. The Brambell Report stated “An animal should at least have sufficient freedom of movement to be able without difficulty, to turn round, groom Itself, get up, lie down and stretch its limbs”. This short recommendation became known as Brambell’s Five Freedoms. These principles are relevant and appropriate measures of welfare for any animal species and has been adopted veterinary groups, the World Organization for Animal Health and rank-and-file animal organizations across the United States. The Five Freedoms provide a framework for determining if an animal has a high, good, borderline or poor quality of life. If none of the Five Freedoms are met, the animal has a life not worth living. March is coming in like an angry lion sooooo please, please, please.. bring them inside. The law in Dallas and many jurisdictions requires that you make sure your pets have adequate shelter, food, warm bedding and access to fresh water. 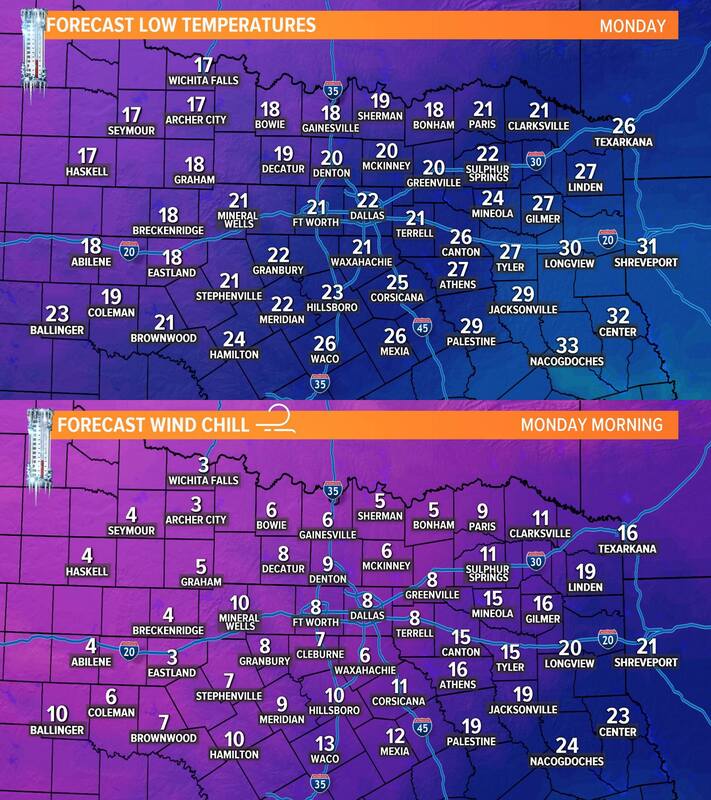 In Dallas please call 311 to report any animals left outside without proper shelter, and check with your jurisdiction for rules and who to contact there. Read more about Bring them Inside! Bridget is so excite to be in her FURever home she made her mom take her for Ice cream to celebrate! We have been so busy that we are way behind on FURever home updates! but couldn't wait it get the one posted! Divas, Dudes, and Danes -HUGE Thank you. Iris is Counting Her Blessings!